We have student pricing on all of our Thursday Comedy Carousel, Friday Night Comedy & Saturday Night Comedy shows. 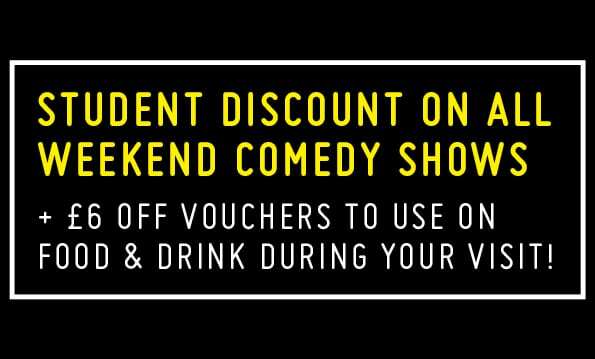 Plus we give £6 off vouchers to use on food & drink during your visit to all students, at every weekend comedy show you book for! 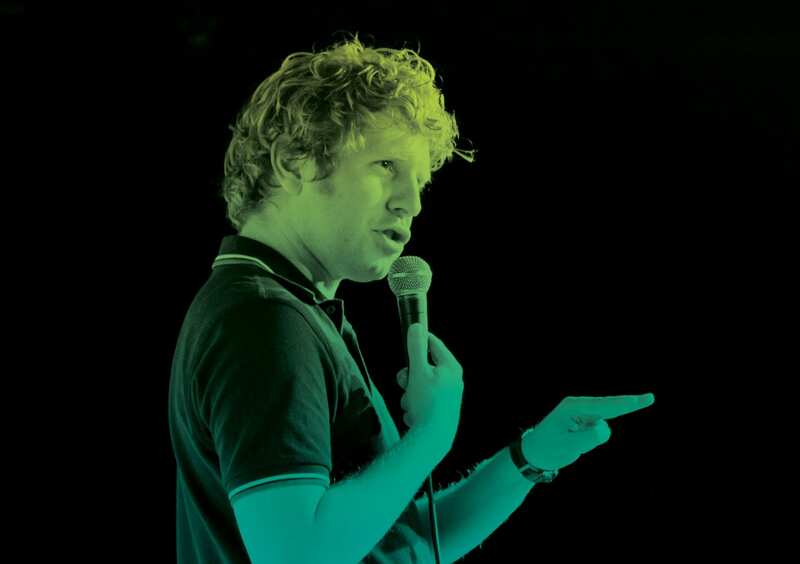 Treat yourself to an evening of award winning live comedy. The best comedians want to play The Glee so don't miss out on a superb night of stand-up that will keep you laughing all weekend. Our regular Carousel show will return next week.